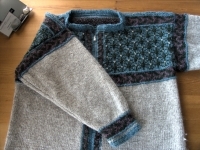 This is a drop-shoulder cardigan, with celtic motifs. 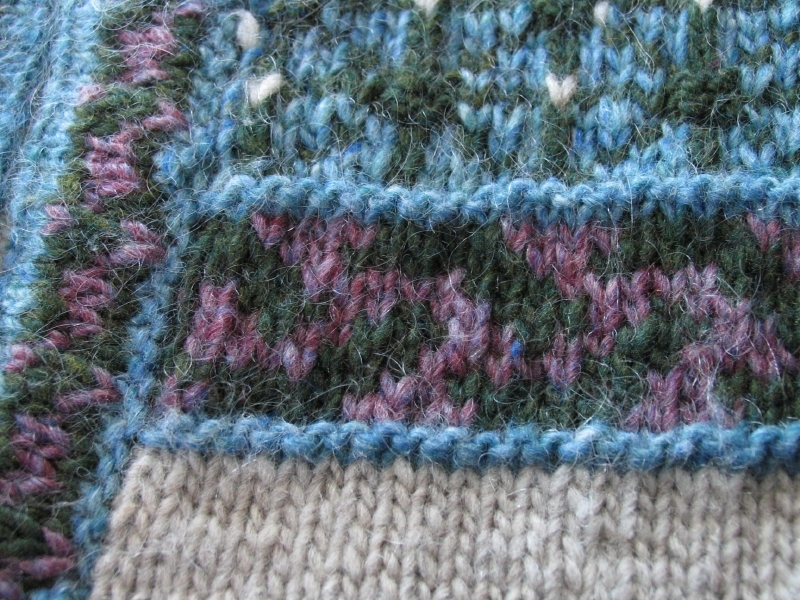 It is fairisle-ish in its design, and use of (mostly) only 2 colours in any given row. 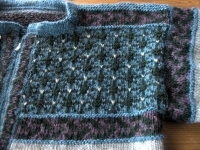 With the woven yarns in the yoke/over the shoulders, the sweater has a very sturdy structure from which to hang. The colours of the Mountain Mohair are lively -- lightened by the white mohair staples in the yarn. It is standing up well to rather regular wear! 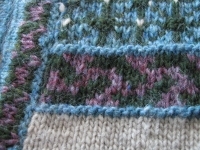 Detail of the shoulder patterning -- note the purled centres and the light coloured flecks (3 colours used in those rows). More detail of the band patterning. 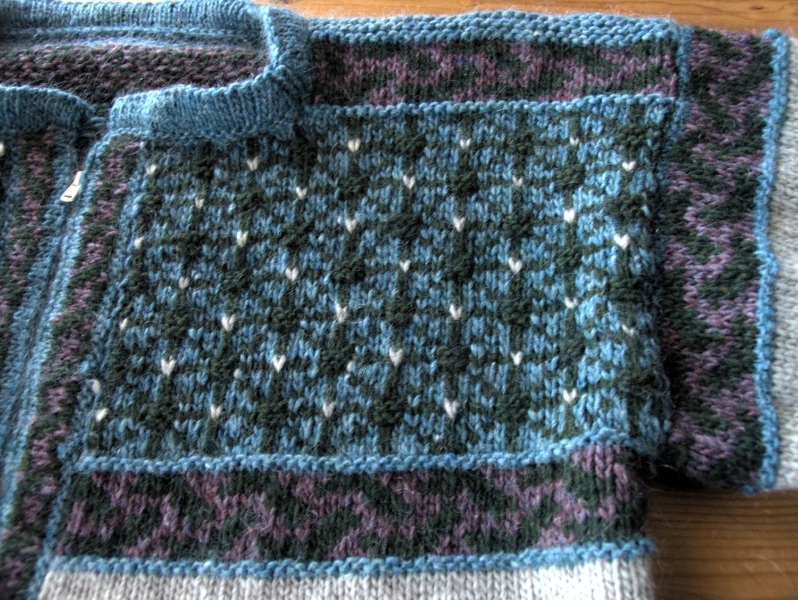 Note also the mohair strands in the yarn.